Helping people create the life they love through real estate is such a meaningful career. Bringing that joy in someone’s life truly can’t be quantified, and for that reason and many more, I love my job. Being a Realtor can be fun, exciting, and strange, among other things! Especially that you have likely seen my name and face all over town, yet we may have never met. Or, maybe you’ve seen one of my properties on the Gardner TV show featured on WWLTV. If this is the case, you’re only getting a taste of what it means to be a Realtor with Gardner. 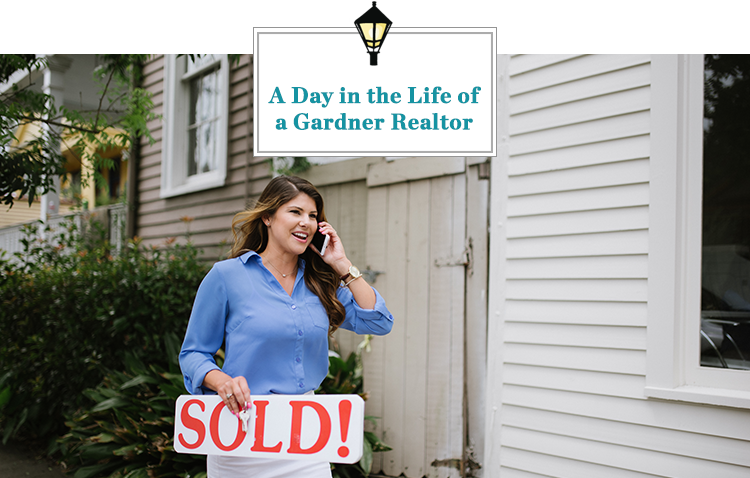 So, I want you to get to know me (and us) better by coming along for a day in the life of a Gardner Realtor! So, here’s how my day unfolds…mind you, every day is a new adventure. But, here’s a look at a typical day. After dropping the kids off at school, I grab coffee and breakfast at the Station in Mid-City. Then, I head into our Uptown office. Once there, I catch up on emails and check my calendar to see what the day will hold. Like most days, I’m pretty booked! Next on my agenda is to add my new listing to the MLS, our OA is always a huge help with this! After getting my new listing added, my manager informs me that there’s a training session that starts in five minutes – perfect timing! So, off to a training session with Karin St. Romain, our Career Development Director and Jennifer Keller, our Training & Development Manager. These ladies ensure that we’re up to date on the latest tools and trends we need to make our clients happy. Since Rachel, Gardner’s resident digital marketing guru is in my office, I pop in to pick her brain for a bit. I’ve got several homes listed that I really want to market hard, and Rachel always has great ideas and marketing strategies. We discuss these properties’ individual websites and also go over how we can better market our overall edge. Now for the exciting part! One of my clients is closing on a house in the Lower Garden District. So, we’re heading to the house to finalize the deal. This part of the job never gets old. We utilize the leading transaction management systems, DigiSign and zipForm Plus® with fully integrated e-signing platforms. Which is great, since digital signing is a preferred method for many clients. This allows everything to run smoothly, and I make sure to remind them about our one stop shopping convenience where we offer Mortgage, Title, Insurance and Home Warranty Services. My next call is a little different, but I’m excited about it. A client of mine just got a new job that is relocating her to Paris. She’s really excited, but she was nervous about the idea of selling her home here and finding a new one in France. Luckily, I can help her on both ends! As a strategic member of Leading Real Estate Companies of the World, we have access to the best agents and firms globally. I’ll set up a call with an agent in Paris this week. 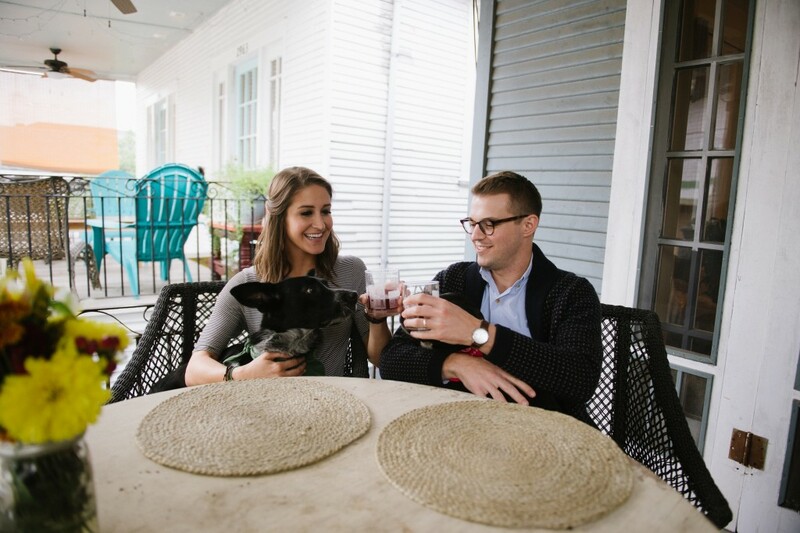 While we never like to see people leave New Orleans, I’m really excited about her move! I have lunch with a friend at Superior Seafood. We discuss weekend plans and I tell her about Gardner’s new lifestyle website called New Orleans Lifestyles. It’s become my go-to source for the latest real estate trends, design tips, openings and happenings around town. There was recently a blog written about this app that shows you where to get the best/biggest/cheapest crawfish near you. That’ll come in handy for our boil this weekend! Now, on to the next one! 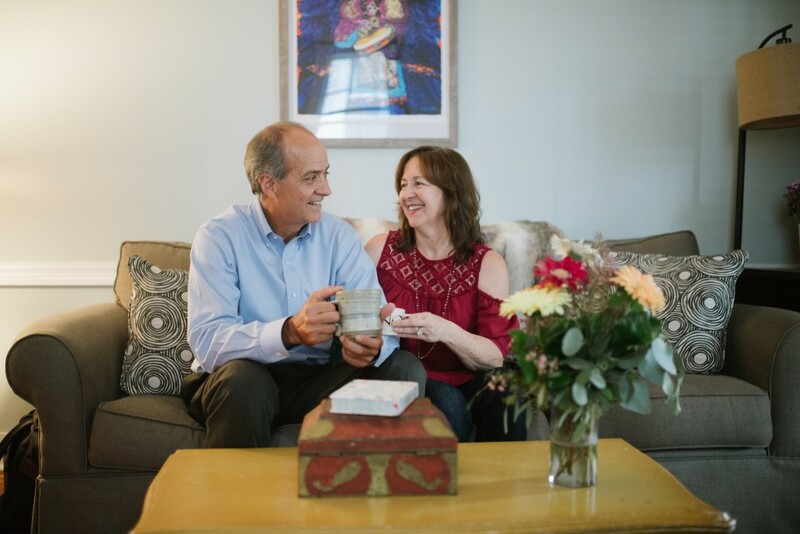 A couple who recently became empty nesters was referred to me by a previous client. They’re looking to downsize and move into a French Quarter cottage. So, I meet them at their home to discuss plans for putting their home on the market. Together, we go through the steps for selling a home, and I show them Gardner’s “Market Snapshot Tool” that pulls recent data that charts market activity for homes in their area, including key stats that will help them make smarter listing and purchasing decisions. We then move on to the topic of searching for their new home. I show them available listings in their price range on GardnerRealtors.com and we check out the convenience of the Gardner Mobile App which allows you to search on the go. With my marketing strategy meeting from this morning still fresh in my mind, I know we’ve got a great plan to sell this couple’s home AND find a new one successfully! My iPad buzzes reminding me that the last thing on my agenda today is an open house Uptown from 4-6. I pull up the “My Event Manager” that helps me host and organize events like tonight’s open house. Also, it directly syncs with my CRM so I can keep track of my client leads and the feedback that they have about this home. This listing is simply stunning, and I’m excited to help the owners show it off. We have a fantastic turnout at tonight’s open house! A majority of the potential buyers who attended told me that they had previously viewed the house using Gardner360, a virtual 3D showcase of the home. Now, seeing it up close and in real life was just a confirmation of their excitement. I have no doubt this home will be off the market soon! After a successful open house, I’m off to meet with my dear friend, Ellie for dinner. I receive an incoming call from Ellie to confirm dinner plans and she shares her exciting news. Ellie is moving to California for a job promotion! As sad as I am to see her go, I think of an amazing going away gift. I call up Nancy Harmann, who heads up our full-time Relocation Team. Nancy makes sure she is taken care of with a quality Realtor in New York! Interested in helping people create the life they love? Visit TheLifeYouLove.com ! What a day huh – who else is ready for dinner? I’m so glad you’ve followed me all over town and have gotten an up-close look at a day in the life of a Gardner Realtor. As an affiliate of Leading Real Estate Companies of the World® and Luxury Portfolio International®, we’re connected to the very best real estate brokers from all over the state, regions and even the world. We’re truly local AND global, and I’m happy to get up each day and make dreams come true! Real Estate Brokerage Firm Licensed in Louisiana & Mississippi © 2019 by Gardner, Realtors® • All Rights Reserved.